Is there anything better than toasted bread? 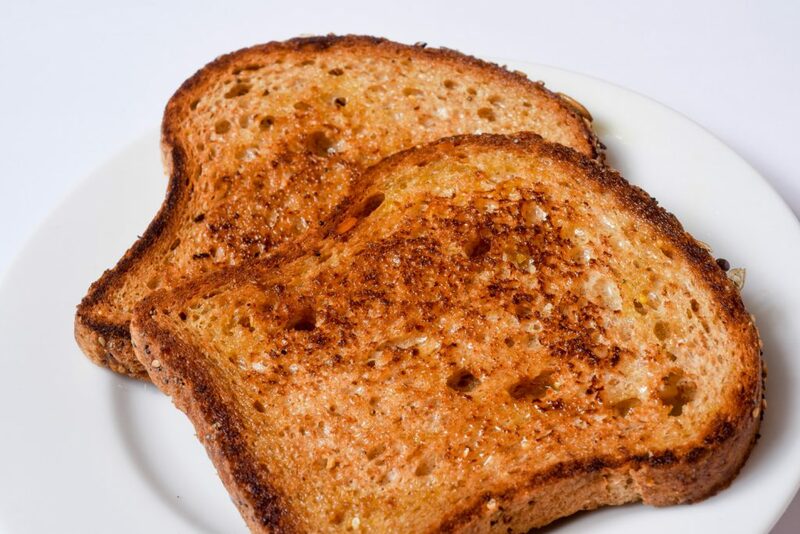 Toast in the morning, toast at dinner, toast most anytime. How do you get your toast fix and still stay true to the Med way? Here is a simple two-step process for having your toast and eating smart. Spread the olive oil in a large skillet or griddle and heat over medium-high. Add the bread. Place a grill press or heavy pan on the bread to give it some weight. This will help make it really crunchy. You can also use a counter-top grill if you like. The wonderful olive oil taste eliminates the need for other bread spreads or jelly. Taste? …with ½ small avocado …satisfying! Pro Tip: Add minced garlic to small container of olive oil. Refrigerate overnight. You’ll get a tasty spread for your bread.